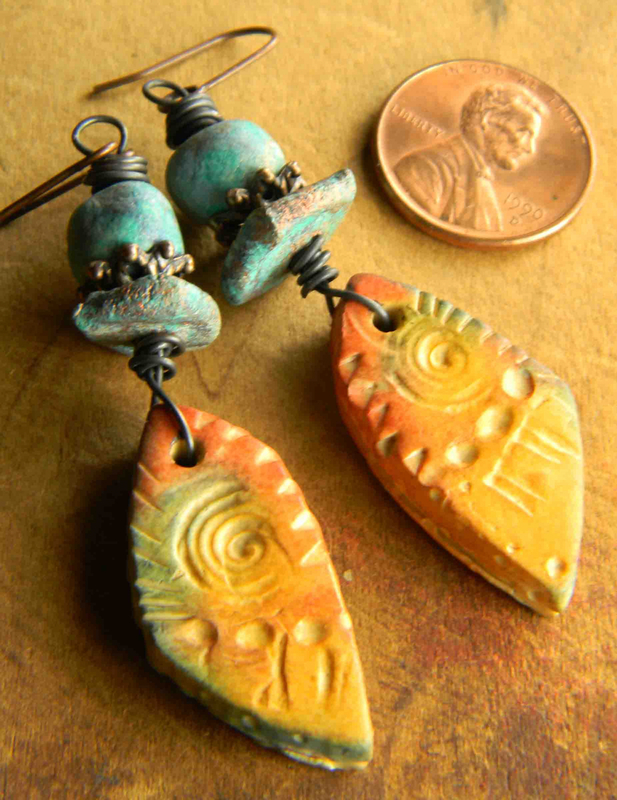 Rustic and slightly primitive drop earring design, featuring my own polymer clay shards. The colors of sunset in the American southwest, yellow, a bit of orange, and turquoise are one of my favorite combinations. 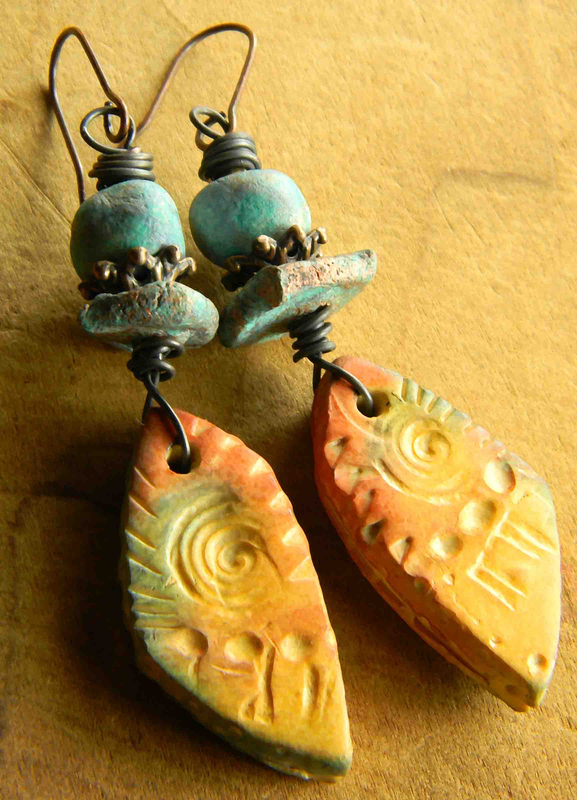 The primitive artisan clay beads, in shades of turquoise, are from At Home in Taos. Add some aged copper bead caps, and darkened copper wire and we have it, 2.7 inches of lusciousness. 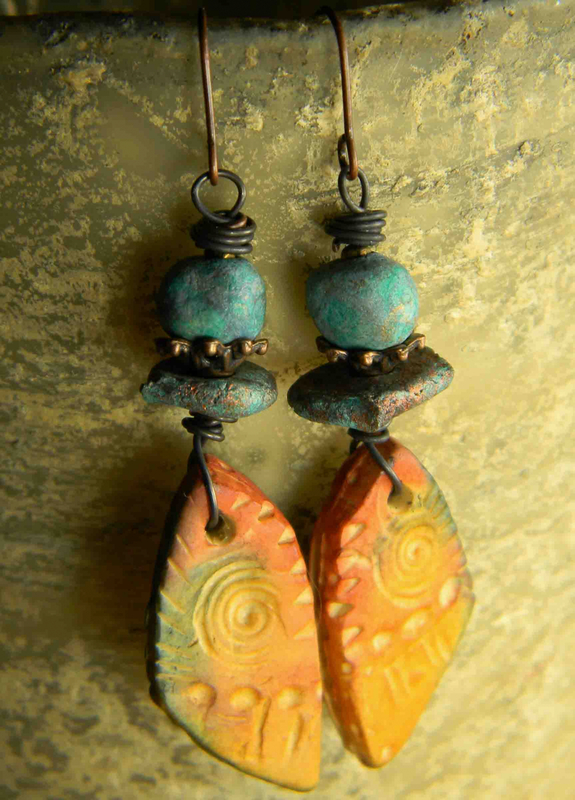 These earrings are very light weight to wear, especially for their size.